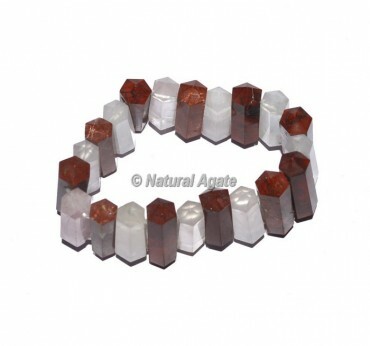 Get the best and alluring accumulation of Red Jasper and Rose Quartz Cowpuncher Bracelets at discount cost. Red jasper is utilized for root chakra and rose quartz is help to bringing down a worry in the heart. This stunning arm ornament is over all adjust the vitality and gives the positive vibes. Order Online today.